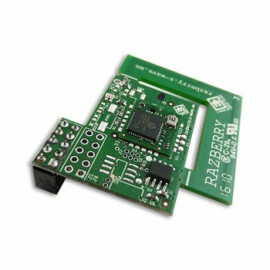 Z-Wave Plus Board for Arduino - ZUNOM module from Z-Wave.Me. 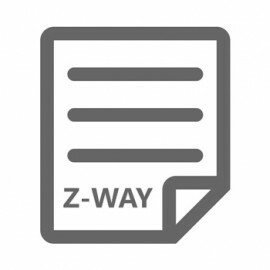 The Z-Uno Module ZME-ZUNOM is a Z-Wave module that implements the Z-Wave protocol and allows custom user code execution. It is an ideal solution for home control applications such as appliance control, heating control, access control, AV control, building automation, energy management, lighting, environmental and security sensor networks in the “Internet of Things”. Z-Uno Module is designed to be added in your smart products like any other RF chip. It can be used as a Z-Wave modem or can also do processing of input signals in your device replacing existing MCU. Z-Uno Module have GPIO, ADC, PWM, UART, USB, SPI, I2C and OneWire available out of the box from the user code. Z-Wave wireless communications and network management is served by the internal firmware of the Z-Uno Module. Works with gateways and directly with other Z-Wave devices. Z-Uno Module is firmware compatible with the Z-Uno prototyping board (ZMExZUNO) to help prototyping on breadboards.